At Choice, our fifth core value states: We Believe Delivering Results Means Going the Extra Mile. As a way of living out that value, we have a tailored, team-based approach in client partnerships, where we see a much stronger success rate as a result. We aren’t just satisfied in meeting the status quo, but rather exceeding expectations. Because of this, we strongly believe in continuing our professional development. So, this past November we brought in one of the best people we know to lead a Choice strategic planning session. We are over the moon to share her with you in our January “What I’m Known For” column. 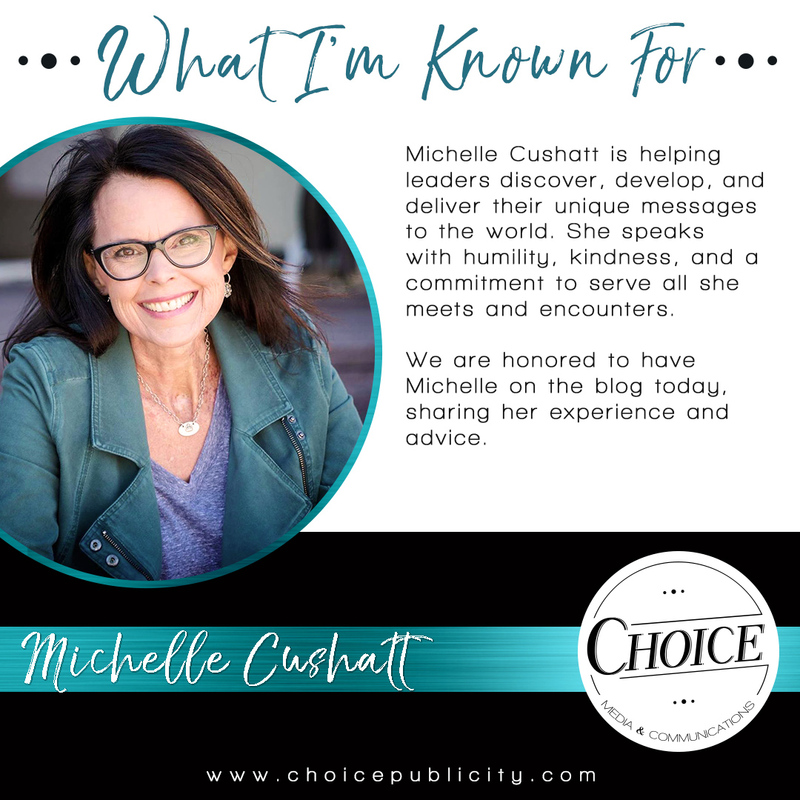 Please meet Michele Cushatt! 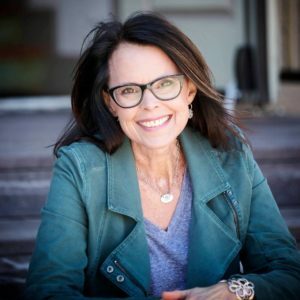 Michele has a genuinely inspiring story as a three-time head and neck cancer survivor and parent of “children from hard places.” Michele is a (reluctant) expert of trauma, pain and the deep human need for authentic connection. Michele is an experienced communicator, and has spoken internationally to a wide variety of audiences including LifeToday TV, Compassion International, Hope House of Colorado, Women Of Faith, Ziglar Family, Focus on the Family, Proverbs 31, She Speaks, Family Life Blended, Dynamic Communicators International, as well as numerous other corporate and ministry events and various podcast, radio, video and audio recording mediums. 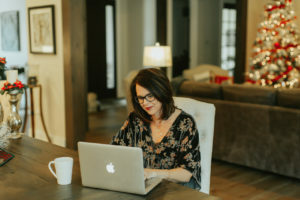 Read below to see Sarah’s conversation with Michele, expanding on her biggest successes and challenges in her career and life to what is exciting her passions right now. ST: First, you and your husband, Troy, live in Colorado with your six children, ages 6 to 21. Tell me a little bit about your family and how they have helped you become who you are today? MC: My six children are now ages 11 to 26, four boys two girls. Parenting has been an adventure, equal parts excitement and exhaustion, laughter and tears. Ours is a complicated family: we have biological children, step-children, adopted and foster children. Let’s just say I don’t think I’ve done anything quite as difficult as mothering my six wildly diverse children—and I’ve done my fair share of difficult things. At the same time, I can’t think of anything that has taught me more about humanity’s capacity for selfishness, our need for humility, and God’s extravagant grace. ST: You are helping people find their way, exactly where they are. How did you get started in your career? MC: Originally, I graduated from Eastern Kentucky University with a Bachelor’s of Science in Nursing degree. To this day, I still maintain my nursing license. However, when I unexpectedly became a single mom in my mid-twenties, I had to reinvent myself. Overnight, I became a sales rep for a major computer networking company putting in forty-plus hours and supporting my one-and-a-half-year-old son. Although difficult, this went a long way to proving to myself I had more strength and capability than I before realized. Shortly after that, I started my own business and discovered both an entrepreneurial spirit and desire to invest in the development of others. Twenty years later, and I’m still coaching and consulting high-impact leaders to discover, develop and deliver their unique message to the world. ST: You have experienced both the best and worst of life. How have you seen your openness of your imperfect times transform your personal life as well as the lives of others? MC: I grew up in a highly structured, controlled and somewhat legalistic environment. As a result, I believed only perfection was of any value and I became a Type-A, driven overachiever without any tolerance for a less-than-perfect performance. Some of those qualities still serve me well—a strong work ethic, passion to excel, desire to serve my clients well, etc. However, my drive toward perfection was all about me and lacked any grace or humility. Experiencing the worst of life—heartbreak, divorce, single parenting, cancer three times, parenting a child from trauma—had the effect of softening my rough edges and teaching me about GRACE. As a result, I learned life and work aren’t about perfection, but connection. None of our excellence matters if we don’t care about the real, flesh-and-blood person standing right in front of us. And, to be quite honest, the places where we most connect with others in is our places of vulnerability, the chinks in our armor. That’s why I do everything I can to live without armor, so I can live and work in honest relationships with other grace-needing people just like me. ST: You hold many roles including being a speaker, writer, and coach. What are some of the biggest challenges you have faced in your career and how have you overcome them? MC: Probably the biggest challenge I’ve faced as a writer, speaker and coach is my own insecurity. This was further complicated beginning in 2010 after being diagnosed with Cancer of the Tongue three different times. Over the past eight years, I’ve undergone dozens of surgeries, procedures, and treatments in an attempt to save my life. However, as a result, I lost 2/3 of my tongue and live with a permanent disability. That means I struggle daily to eat, drink, speak and work, something that is quite inconvenient for a woman who made her living as a communicator for more than a decade! Initially, my obvious disability made me incredibly self-conscious and insecure. It is not uncommon for people to make pointed comments about my speech. However, I’m also discovering that the very thing I wish to hide about myself also holds the power to connect me with those struggle with their own disabilities—whether literal or figurative. There are so many men and women who need to know there is life beyond what has wounded them. As a result of my own challenge, I now have the credibility to speak into their story. And that’s a tremendous gift. ST: The love and passion you have for your work are undeniable. What advice would you give others for turning their passions into their careers? MC: Passion is good. We need more men and women who are passionate about using their unique stories and talents for the greater good. But passion without wisdom is self-destruction. Make sure you consistently and determinedly invite truth-tellers to speak into your life. It is entirely possible to be blinded by well-intentioned passion and end up causing more harm than good. To safeguard against this, stay humble. Stay teachable. And surround yourself with people who love you enough to tell you the truth, even when you don’t want to hear it. ST: One of our core values at choice is that “Enthusiasm Drives Us.” What is something you are excited and eager about for 2019? MC: On November 12, 2019, I release my third book. This might be my most important work to date. And if the value of it can be calculated by the blood, sweat, and tears shed in the process of writing it, then this is certain to be a hit! Hahaha. Seriously, the message of this book has been the subject of my personal development and growth during the darkest season of my life. My hope is it shines a little light for those who are lost in their own darkness right now. ST: What is the best advice you have ever received? MC: I’ve been on the receiving end of some incredible mentors in my life, which means I’ve been given a lot of great advice over the years. It would be hard to choose one as “the best.” Instead, I’ll offer recent counsel that meant a great deal to me: “Fame is a flame that is easily doused. Much better to build relationships that offer reciprocal involvement.” A good solid reminder that success online can’t satisfy the soul quite like real-time, face-to-face relationship, with God and others. 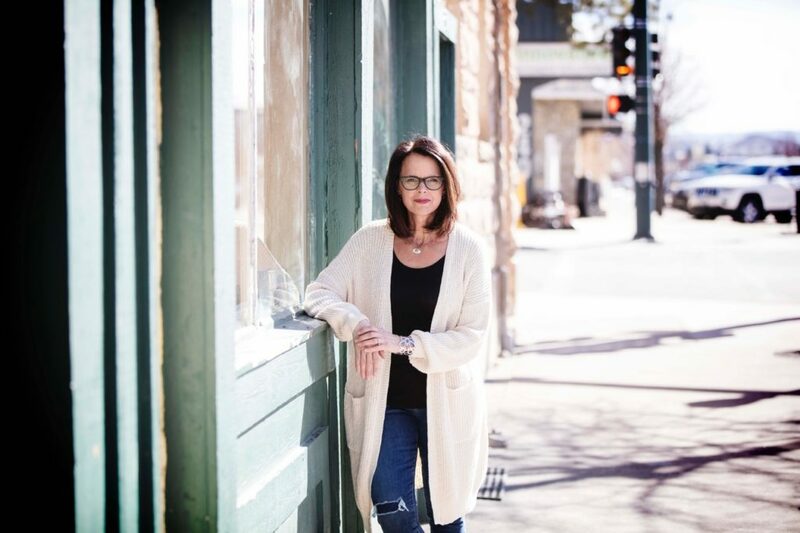 Learn more about Michele Cushatt by visiting her website at https://michelecushatt.com/.